To fill gaps in knowledge about Karomia gigas and ensure is brought the species under effective conservation, working with forestry and botanic garden partners and local communities. 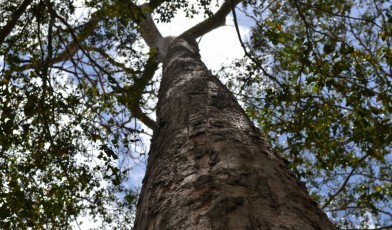 Karomia gigas is a tall tree found within Miombo woodland in the south west of Tanzania, towering over the majority of the shrubby vegetation. 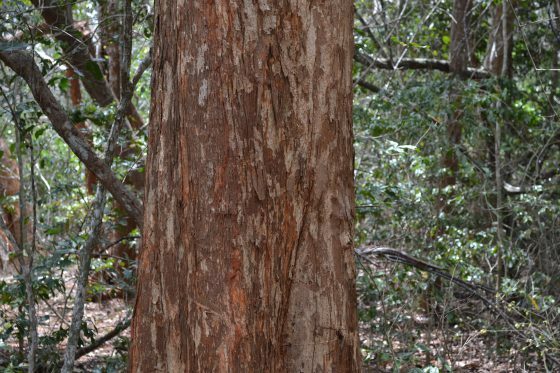 The tree was thought to be extinct on two separate occasions but is now known from two populations in Tanzania. Little is known about K. gigas as the populations were relatively recently rediscovered. What is clear however is that there are a number of threats the species is facing. In Miombo woodlands where the populations are situation, there is evidence of logging, fire and felling trees to make charcoal. Equally the species is only known from a very small number of individuals, thought to be fewer than 20, increasing the likelihood of extinction. Clearly without action this tree species is very likely to go extinct in the future. In addition, there are gaps in our knowledge that need to be filled to help prioritise conservation actions. Although there is a collection of this species with seed, little is known about the phenology of this species. More information is needed about the structure of the populations and the regeneration of this species. We are working in collaboration with the Tanzania Tree Seed Agency (TTSA) and the Tanzania Forest Service (TFS) as well as three botanic gardens: Dar Es Salaam Botanic Garden, Tanga Costal Forest Botanical Garden (TCFBG) and Missouri Botanical Garden. Surveys are ongoing to monitor when the species produce seed. This seed is then collected for seed banking, propagation trials, with the view to establishing ex situ collections and a nursery growing seedlings for a population recovery programme, to ensure this species is protected from extinction. Monitoring K. gigas populations for available seed and increasing threats. Collecting seeds from as many individuals of K. gigas as possible, from the two known populations, when available. The collection team consists of community members, local foresters, as well as international experts. Undertaking germination trials for K. gigas at TTSA. It is suspected that the seeds will exhibit dormancy – a state where the seeds are unable to germinate. The team will work to determine the best propagation techniques to break this dormancy in order that seedlings can be grown. Constructing a community nursery to grow seedlings of K. gigas (once propagation is successful). 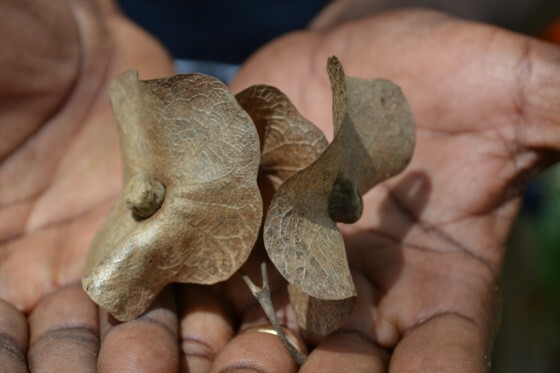 Providing support to two coastal Tanzanian botanic gardens (Dar Es Salaam Botanic Garden and the Tanga Coastal Forest Botanical Garden) to establish well-managed, replicated living collections of K. gigas. A survey was carried out in October 2016 to assess one of the populations and six mature trees were identified. Seed found on the ground was too old to successfully propagate. A successful seed collection was taken from individuals in mid-2017, following a period of monitoring for seed maturation from October 2016. These seeds are now being used in germination trials at the TTSA. Unfortunately many of the collected seeds were infested with pests and fungus and seedlings that were grown have struggled to survive. Another seed collecting trip is planned. For more information on this project, please contact globaltrees@bgci.org.